Should I Adopt a Ferret? 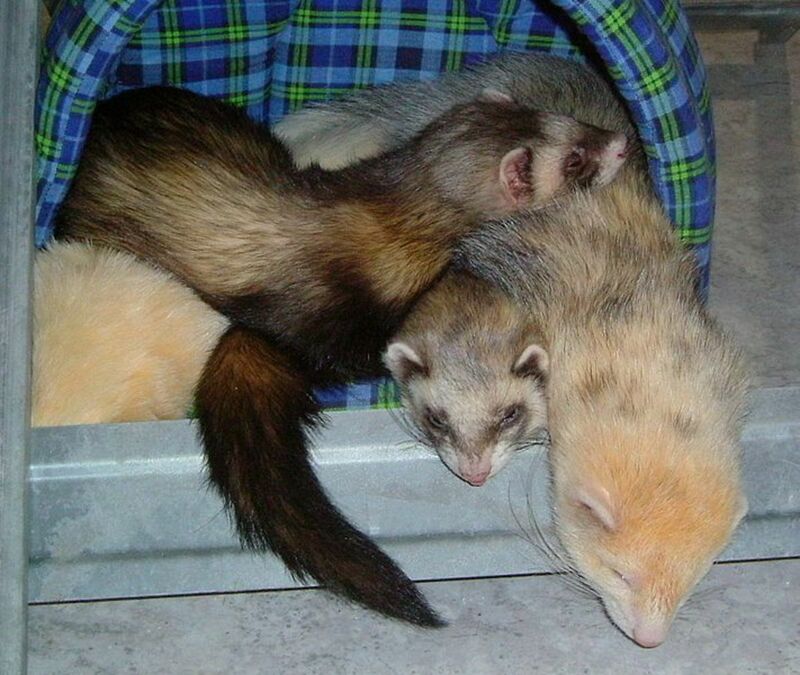 Several years ago, my teenage daughter ‘inherited’ a couple of cute ferrets from a friend. The ferrets were cute, playful, and incredibly inquisitive pets, and as a family, we decided that it would be easy for us to collectively look after them. 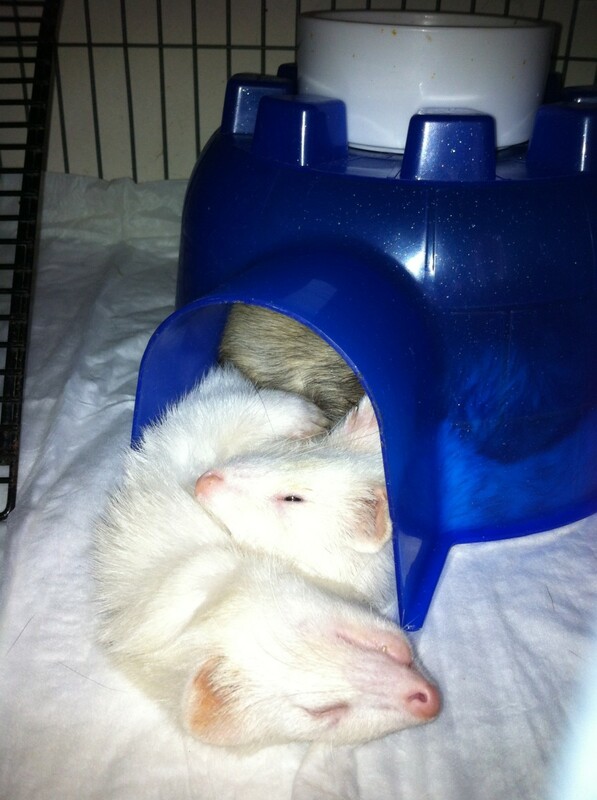 However, through experience, I realized that we should have done some research before getting ferrets as pets. They require a lot of care and attention, and are particularly mischievous. Are Ferrets Suitable Family Pets? They can bite if handled roughly, so they may not be suitable for families with younger children. They will try and escape at every opportunity; so it’s important that your family is ‘trained’ to keep doors closed at all time. They are very ferocious and territorial around other animals. At the time we had two large dogs, a Chihuahua an two cats. We were able to keep the dogs away from the ferrets most of the time, but occasionally we had some intriguing stand-offs when one of the cats came into their domain. It did not become a problem as we were supervising, but this means that you should never leave ferrets unsupervised if there is a chance that other pets may encounter them. They have a pervasive odor, especially if you don’t clean their cage often. The smell does tend to become the dominant smell in the house. While this isn’t a huge problem, it is one that you should be aware of. We found that, generally, the ferrets were good with our family, but my daughters were teenagers and more able to understand what was required to look after them. How Much Time Does It Take to Care for a Ferret? Ferrets are very active and inquisitive. It is very important to give them several hours of playtime outside of their cage. However, simply opening the cage is not enough. It is very important to ferret-proof your home. Block exists: Due to their skeleton, ferrets have the ability to squeeze through tiny gaps. My ferrets often were able to get under doors that had less than an inch gap. Therefore, it’s important that you ‘block’ any potential exists otherwise you’ll spend hours searching for them. 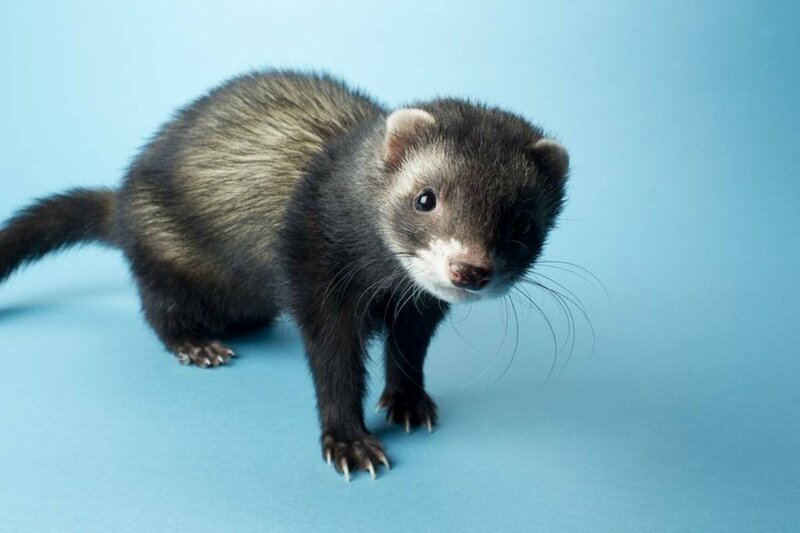 Controlled playtime: Because of their playful nature, ferrets will often hide under (or in) furniture, will dart away when you try and catch them, or will team up to ‘confuse’ you. To them, running around avoiding you is a fun game; to you it can be frustrating. You should focus on training tricks etc. to keep them mentally active, as well as training them to understand when playtime is over. I was able to teach one of my ferrets to fetch a small ball. It probably took me two weeks to do this. Behavior: Ferrets are mischievous. It’s very important to try and train them to behave as soon as possible. Training such as potty training, accepting handling, stopping biting etc. can be approached in a similar way to a small dog. It requires patience and repetition, and you have to be firm – but generally ferrets are quick learners. 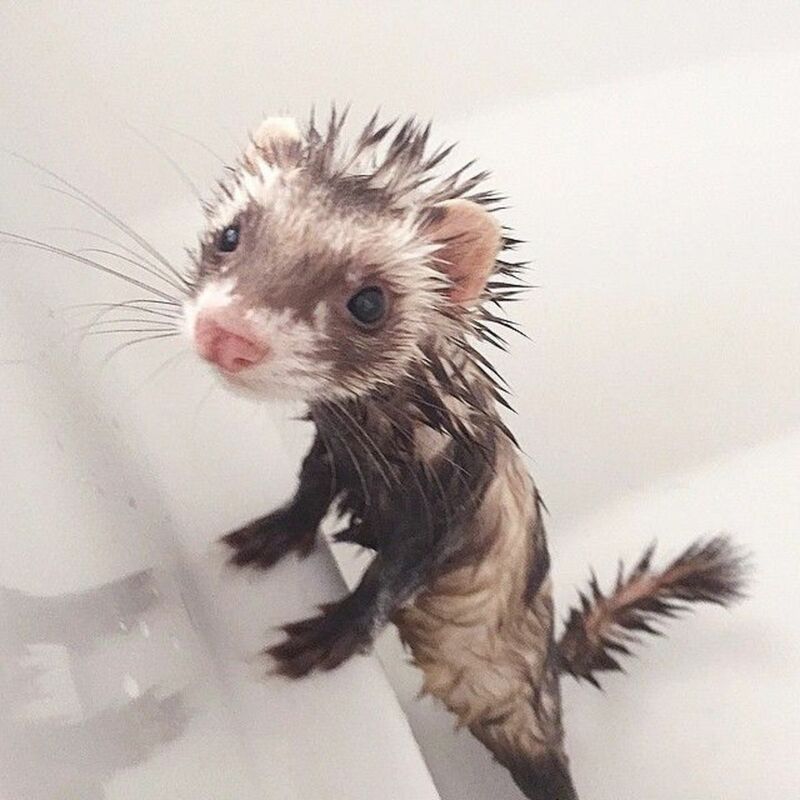 General maintenance: Other things to consider before buying a ferret is that they generally are fed three to four times a day, a their cages and litter box should be cleaned often. No but maybe one day. No - and never will. Should I Get More Than One Ferret? I was lucky as we were given two ferrets. They are very social, and require companionship when people are not around them. At the minimum, you should get two ferrets. I would suggest you get no more than four though due to the additional cost, and the additional care and attention they will require. They typical live between eight and ten years assuming they receive the correct mental and physical attention they require. 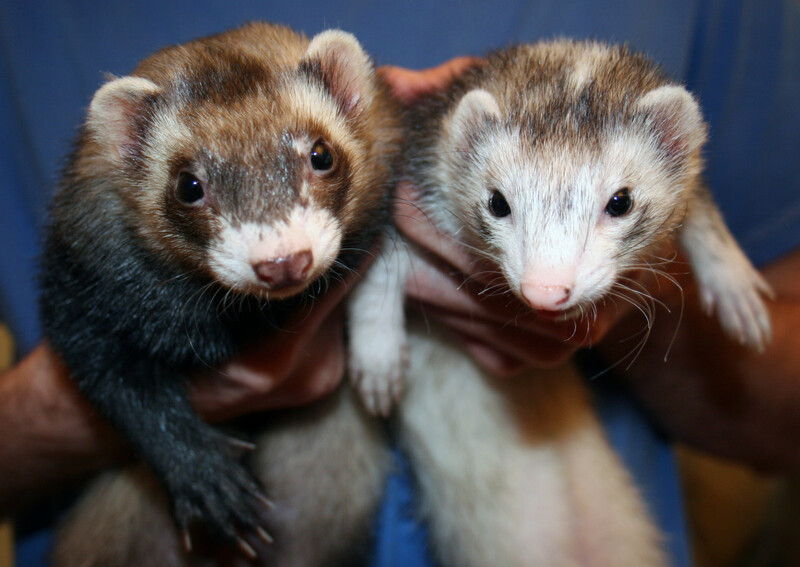 Many people adopt two or three-year-old ferrets which generally have been trained and are used to be handled by humans. What Type of Home Do Ferrets Need? We had a large cage (similar to the type of cage you’d use for a large rabbit). We dedicated section for their toilet by creating an artificial ‘square’ with some cardboard. Ferrets are very particular about their toilet habits and require a dedicated area. Due to their ‘energy’ we had toys, tunnels and ramps that allowed them to play while caged. We had a couple of separate platforms for them to sleep as well as one hammock – often they used to both hang off the side of the hammock and sleep. We found that they loved to burrow, so we placed some old torn up blankets in their sleeping area. They are a little more expensive to feed than your typical pet as they require specialized ferret food. Most pet stores have dedicated ferret foods. You should consider de-sexing your ferrets, or buying them de-sexed. Their aroma will be a lot worse if they are not de-sexed. Also, the females must be de-sexed as they stay in heat if they are not. 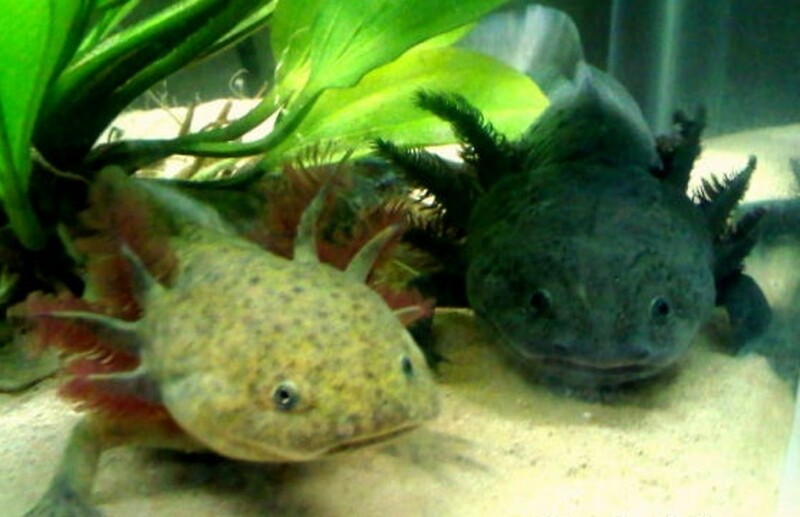 Due to their inquisitive nature, they will eat almost anything – this can lead to expensive vet bills. So Is a Ferret Right for Your Family? My experience with the two ferrets we had is that they are probably the most fun pets we’ve had. They can be very loving, and often will climb inside your sweater and stay there for a while. They ae fun to play with. However, they required more attention than any other animal I’ve had (other than one of my parrots) and the smell, even if you clean their cage often can be overpowering especially in hot days. 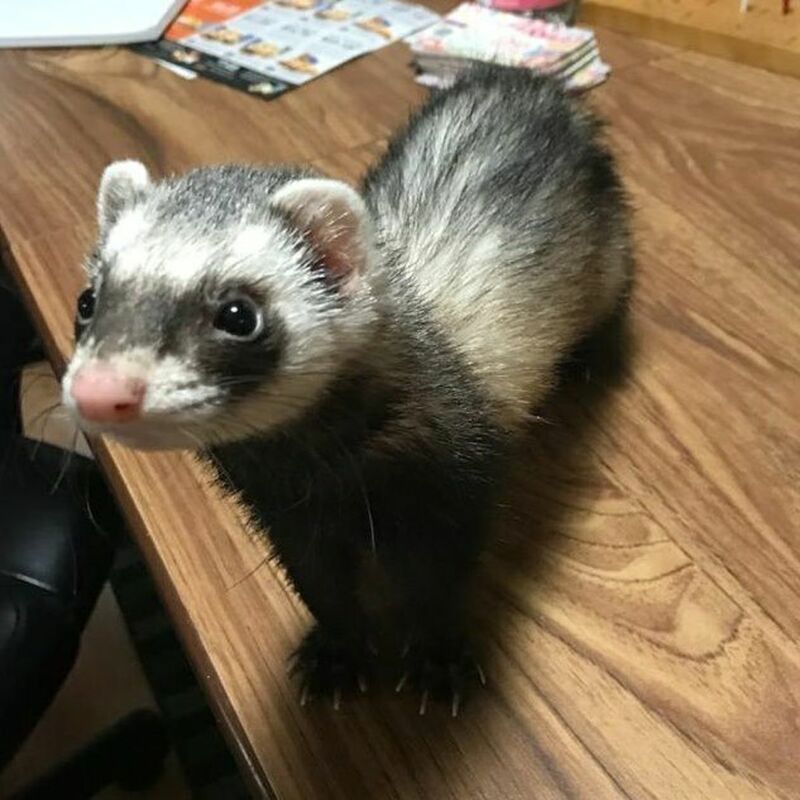 My ferrets were partially trained and used to humans so I think that made a huge difference, and if I can give you any advice, it is to get adult ferrets that have some sort of pre-training – it is worth it. I don’t regret adopting the ferrets, but I feel you need to way out all factors before making a decision. What are some examples of “ferret proofing” your home? I know about keeping wires out of reach but that’s it. Make sure there are no gaps for the ferret to get under - example - doors. They can squeeze under the smallest gap. There are temporary ways such as stuffing towels under the gap - or you can buy 'skirts' (plastic pieces) that can be attached above the gap and go down to the floor. You also have to ensure that the whole area is enclosed - if there's a slightly open door, window etc. they will find it and escape. Are Ferrets Banned in Your Country? All ferrets shed - usually twice a year. I love ferrets! 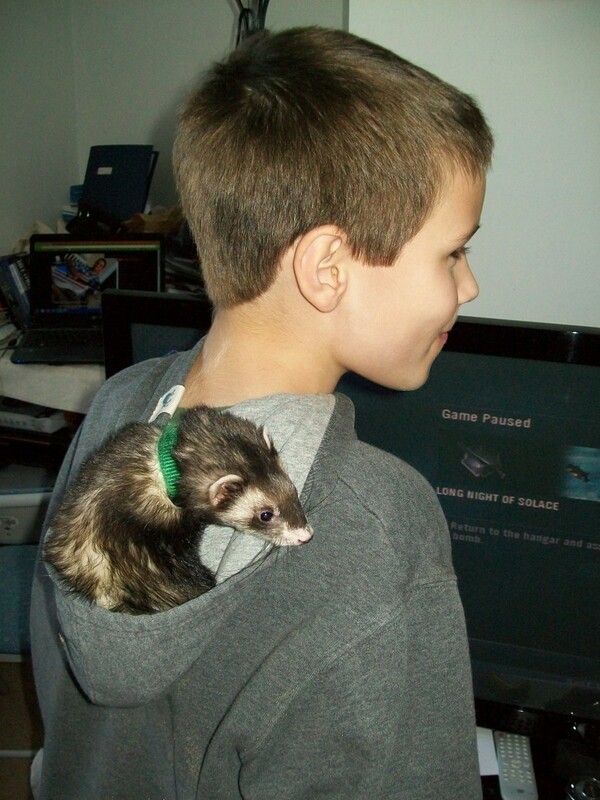 I'm 13 years old and I'm probably going to get a ferret soon, as it is indeed my birthday, and I hope that I get two. I think me and my brother are in the exact age for a not that common pet, since we've only had dogs, and we live in Ecuador, this article was really interesting, keep it up! I was amazed to read that ferrets can get through the tiny gap under a door! Thanks for sharing all the interesting and useful information. My home is already full of pets so I doubt whether I'll be getting ferrets any time soon, but it was enjoyable to read about them.